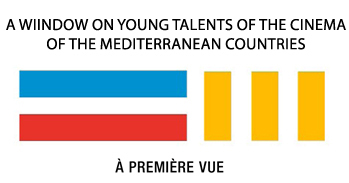 Three young authors, three schools of cinema, three Mediterranean Countries: these are the protagonists of the event “A window on the talents of the Mediterranean Cinema. À première vue”, organized by the International Telematic University UNINETTUNO of Rome and by COPEAM (Permanent Conference of the Mediterranean Audiovisual Operators), scheduled for the 16th June at 9 pm in the Tiber Island (Schermo Tevere). During the “Isola del Cinema” historical Capitoline film festival, by now at its 22nd edition, they will show a première of the best short films realized by the young directors of the schools of cinema of Lebanon (ALBA), of Morocco (ESAV) and of Tunisia (ESAC), partners in this initiative. The event will be attended by the directors of the screened films and by the heads of these schools. “Cinema is one of the languages of art – UNINETTUNO’s Rector, Maria Amata Garito, says – that helps us to easily penetrate the spirit of an artist. It is a language through which you convey feelings, thoughts, desires and expectations. Never before as today spreading the works of the students of the schools and exploring the languages with which they express feelings, moods and fears, will allow us to better understands other people”. This important initiative, launched by UNINETTUNO and COPEAM and shared by the “Isola del Cinema” festival, actually represents a concrete example of synergy among universities, schools of cinema and TV to: promote the young talents of the Mediterranean Area; develop International and intercultural cooperation; facilitate the access to market for works realized by a new generation of filmmakers coming from the Mediterranean Area and from Africa. UNINETTUNO is also thinking about creating study programs shared with the three schools of cinema of the countries involved and launching a joint master’s course in the movie sector in cooperation with COPEAM. Actually, since many years, the International Telematic University UNINETTUNO has been working with various Universities of the Mediterranean Countries entering into agreements aimed at harmonizing and sharing study programs. It is the only university across the world in which teaching and learning take place in the Internet in 5 languages (Italian, English, French, Arabic and Greek). Its students come from 140 countries of the world and can earn study titles recognized in Italy, Europe and in some Mediterranean Countries. Jointly with 31 universities of 11 countries of the Euro-Mediterranean Area (Algeria, Egypt, France, Jordan, Greece, Italy, Lebanon, Morocco, Syria, Tunisia and Turkey) UNINETTUNO realized a technological networks as well as a network of people, of minds capable of interconnecting and interrelating their own knowledge. The free screening of June the 16th is part of wider project of UNINETTUNO and COPEAM: it is the TV and Web-based program, “A Window on the Talents of the Mediterranean Cinema. À première vue”, including 5 shows lasting one hour each and broadcast and streamed on the satellite channel UNINETTUNO.UNIVERSITY.TV (free to air on 812 SKY channel and on 701 Tivù sat channel). Each show of the program will include three short films (one for each school), selected among the best works of the students. The selected short films will be introduced by a short self-portrait of the director that will be useful to tell about the motivations, the choices and the production modes on which each work is based.